Basenjis can be incredible companions for the right family. They are intelligent, energetic as well as affectionate with their family members. However, potential Basenji owners should be prepared to take all the good qualities, with some that are not so good. Knowing the Basenji breed and how to make your home and life adequate for them is essential to becoming an owner. 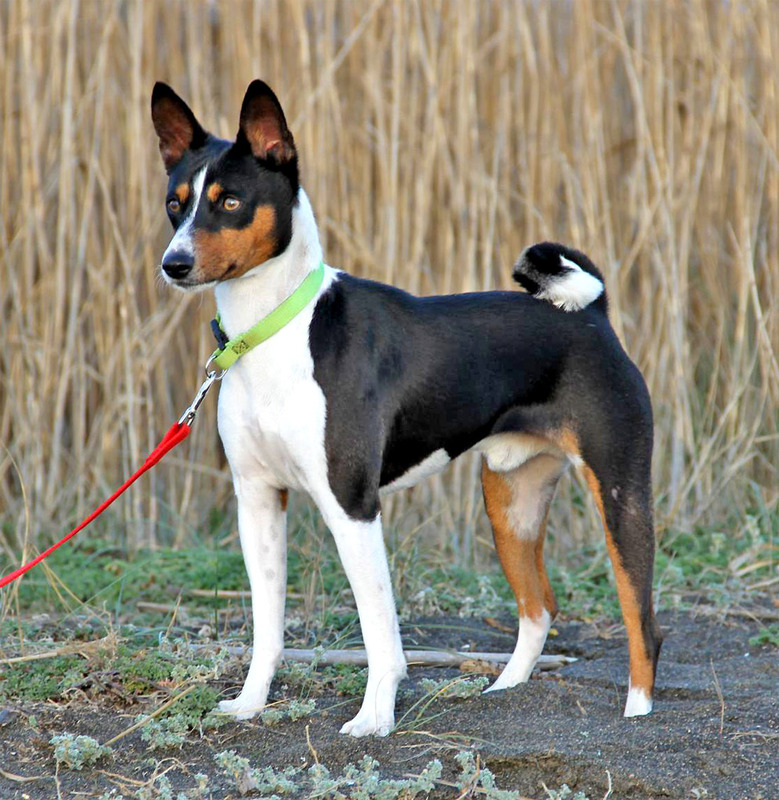 Basenjis can be stubborn and will require an experienced owner in order to thrive. Owners should have their Basenji trained and enrolled in a strict puppy Boot Camp program. Owners that do so will not need to “basenji-proof” their lives as much as those who leave their Basenjis untrained. Basenjis are not hardwired with their manners ready-to-go nor will they be able to stop themselves from destroying things if given the opportunity. Professional training is essential! These pups are fully equipped with qualities that some owners may be drawn to. For example, the Basenji’s intelligence. These pooches are one of the most intelligent breeds in the canine world. Owners rejoice over this trait as it can make for very entertaining interactions with their Basenji. However, other owners may not find the Basenji’s intelligence charming as it usually means that the dog is always one step ahead of the owner. The Basenji’s natural curiosity is another factor to consider. Curiosity is to be expected during puppyhood, except that the Basenji never stops being curious. If there is a cardboard box on the floor, you are likely going to find your Basenji rummaging through it. He will not stop until he is familiar with everything including the garbage. Basenjis are also very light on their feet. This trait means that owners may never truly know where their Basenji is or what they are up to. This feature goes hand in hand with the next one, boredom. A bored Basenji will quickly try to occupy himself with anything and everything in sight. If your favorite pair of shoes is left by the door, and your Basenji has access to them, you will likely be adding them to the trash can when he’s done. Basenjis will not hesitate to become destructive if they are bored. With this in mind, owners should never leave their Basenji unsupervised, especially outdoors. Basenjis will use their boredom and their intelligence to dig their way out of the yard. They are also incredibly agile dogs and will easily outrun their owners. This is a great reason to keep a Basenji on a leash at all times while in public. Good luck! Creating a safe, fun and enjoyable environment for a Basenji will not be a walk in the park. Basenjis can potentially get themselves into anything they want, one way or another. The first thing owners should do before bringing their Basenji puppy home is to crawl around the home and view everything from the puppy’s perspective. If there are things under the bed that the puppy could easily destroy, then remove them and place them elsewhere. If there are wooden table legs that he could chew up, then make a note to come back and wrap them. Crawl throughout your entire home this way cleaning up items that the Basenji puppy could get to and protecting areas and items that he could destroy. The second thing you should do is to choose an area of the house for the puppy to come home to. This could be a bedroom, a bathroom, or the kitchen. Any part of the house that you would see daily is ideal. This area should be entirely puppy proofed (similarly to a toddler being in the home). Some owners choose to keep certain doors shut and place baby gates around the home to keep the Basenji puppy in the area they choose. It is vital that doors and windows to the outside be securely shut at all times. This includes any access to a patio or balcony. Electrical cords should be hidden in a safe place, and the electrical outlets should be covered with plastic plugs. If the home has a fireplace, then it is wise to keep the doors or gate shut to avoid the Basenji puppy from rummaging through the soot. Garbage cans (even outdoor ones) should be secured in a closet or the garage where the Basenji does not have access. *Side note* If it is the holiday season then it is recommended to keep the Basenji away from the Christmas Tree, presents, lights, tinsel, and glass ornaments. These items and various others can become hazards to a Basenji if they are consumed. 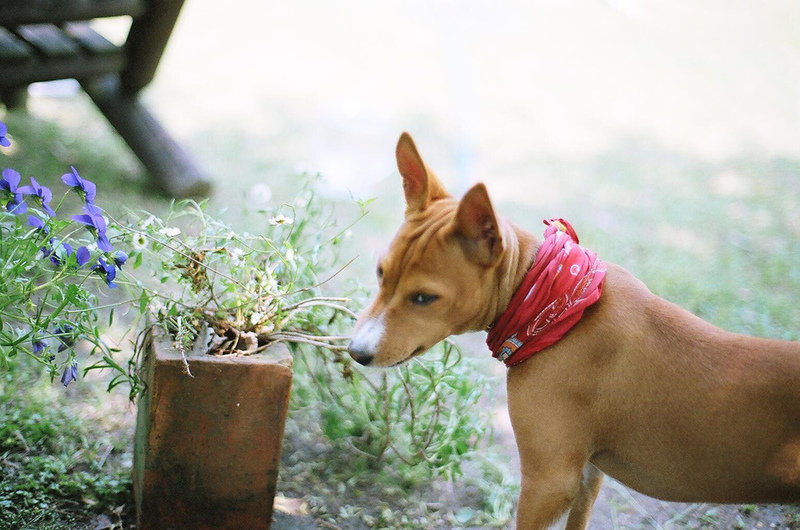 The third thing a Basenji owner should do to Basenji-proof his home is to look at his house plants. Are they poisonous like mistletoe, holly, poinsettias or azaleas? If so, then remove these house plants from the puppy’s area. Basenjis will need to be taught a command for exiting the home. Otherwise, they will bolt out of every cracked door or screen window. The next place you should Basenji-proof is your yard. You may not want to use the crawling method here, but, you should look around trees and under plants and bushes for anything that could become a hazard. For example, some fertilizers and some pesticides are poisonous to animals including your Basenji. Quick and complete removal of these materials is critical to bringing your puppy home. Look for fertilizer or pesticide that is pet-friendly. Coil up the garden hose and place it in the hose box to prevent the Basenji from chewing on it. A sturdy, high, and implanted wood fence is highly recommended as many Basenji’s can climb the chain link fences. Owners should never cut the grass, weed whack, use the leaf blower or the snow blower if the Basenji is outside. These machines tend to launch debris into the air and can harm the Basenji if he were to get hit. Finally, swimming pools should have a fence installed around it to prevent an unwanted swimming pooch. Basenjis should be secured in a crate while in the car. Basenjis tend to become overly excited during car rides and can easily distract the driver from the road. The crate will also keep the Basenji from destroying the seat cushions, seat belts, and door handles while he is along for the ride. Completely Basenji-proofing your life will be a difficult task as they are highly intelligent animals. However, taking the time to remove potential dangers from their pathway is essential to their overall health and well-being. Providing your Basenji with the proper toys, puzzle games and chewies will help keep him occupied when you cannot.